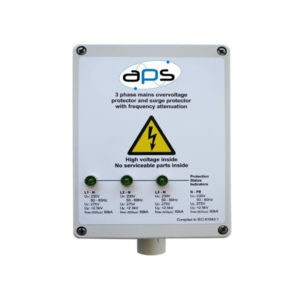 The APS range of surge & lightning protection devices are designed to reduce noise and transients on sinewave which feeds and powers equipment. 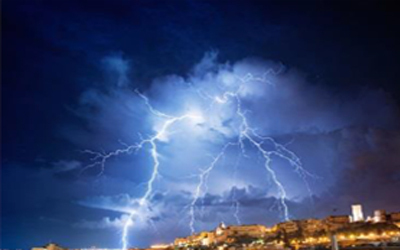 These surge & lightning protection devices will also protect loads from anomalies in sinewave created by lightning strikes (defined by different Zones). These occurrences can be devastating to any type of equipment and will result in permanent damage, should insufficient Surge protection not be installed. Depending on the SPD technology adopted, some more advanced solutions can be implemented to offer common mode attenuation and differential mode protection similar to what an Isolation Transformer can offer. 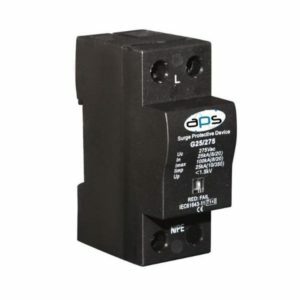 In most cases surge & lightning protection is wired in parallel to the load it is protecting and therefore does not need to be sized for load current, (there are certain SPD devices where the series connection is utilized and so load profiles need to be considered). APS SPD technology offers Class I+II or Class II only with integrated mode protections. These types of solutions are an absolute must for all environments where the power supplied has been either corrupted by the environment itself (i.e. lightning events, external industry, or by internal loads). surge & lightning protection device solutions can be offered for AC and DC Low Voltage electrical systems such as Distribution, Solar applications, Wind Turbine applications, Network or Data environments in a variety of configurations to ensure maximum protection.